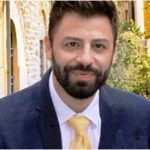 To help provide insight into the recent article published in Bioanalysis: Expanding lipidome coverage using MS/MS-aided untargeted data-independent RP-UPLC-TOF-MSE acquisition, we spoke with author Panagiotis Vorkas, post-doctoral researcher at the Section of Computational and Systems Medicine of Imperial College London (London, UK). Panos explains why he felt this was an important area for bioanalysis and worthy of publication. Panos has been systematically working in the field of bioanalysis and more specifically in the development and application of metabolomics/metabonomics tools for 7 years. Panagiotis Vorkas is a post-doctoral researcher at the Section of Computational and Systems Medicine of Imperial College London. He is focusing in bioanalysis with special interest in developing workflows utilizing targeted and untargeted metabolic and lipid profiling approaches in the analysis of tissue and biofluids. His developed pipelines have the ultimate aim of expanding metabolome coverage. He is working under the theme of cardiovascular disease and risk factors. Guided by biomarker discovery approaches he is now elaborating on biomarker validation and elucidation of disease pathways. Panos obtained a Bachelor degree in Chemistry in 2006 and a Masters in Clinical Chemistry in 2009. He was awarded a PhD in Biochemistry in August 2014. He is also is a past recipient of the Bioanalysis Rising Star Award (formerly the New Investigator Award). My initial exposure to lipidomics was only aimed towards enhancing metabolites covered in a cardiovascular disease project. Considering that lipid species would be involved in cardiovascular disease, I had thought that it might just be a safe bet. Little did I know that I was about to get more than I had bargained for. In fact, acquired data and subsequent interpretation demonstrated the involvement and dysregulation of a novel lipid species functioning as a signal mediator in atherogenesis. Subsequently, this led me to acknowledge the necessity for further development and optimisation of lipidomics tools and contribute towards overcoming challenges encountered by the bioanalysis community. I believe that this publication will provide an invaluable resource for scientists from every relevant field. They could obtain an overview of the capabilities achieved in modern day lipidomics and acknowledge the range of lipid classes detected. In my publication, I present a database of over 250 lipid species, detected by the described methodology and mapped to their corresponding biological pathways. These lipid moieties were identified in a variety of biological matrices, representing a wide range of lipid (sub-)classes and categories. I envisage that this publication will encourage scientists without much experience in lipidomics to employ these tools with confidence. Find out more aboout lipidomics in our feature, here. Enhance lipidome coverage. By combining untargeted and targeted methods in a variety of biological matrices, I am aiming towards recording elusive lipid moieties – from uncharted/unknown lipid pathways – as well as enhancing the range of known lipid species detected. Develop untargeted and targeted methods capable of separating lipid isomers. There is a great diversity of function between lipid isomers. My objective is to utilize recent advancements in instrumentation to achieve lipid isomer separation. Develop a platform that incorporates analytical and computational methods, delivering a comprehensive, automated and untargeted determination of free and lipid-incorporated fatty acids. There are several noteworthy groups working in the field of lipidomics analysis that have produced very useful and inspiring work. Some of the groups that I personally keep an eye on are the groups of Robert Murphy (University of Colorado; CO, USA) and Edward Dennis (University of California; CA, USA), traditionally involved in and pioneering the design of analytical lipidomics methods. Furthermore, groups that have had tremendous contributions in lipid analysis, data processing, interpretation and validation are the laboratories of Gary Siuzdak (The Scripps Research Institute; CA, USA), Alan Saghatelian (The Salk Institute; CA, USA), Matej Oresic (SyMMyS; Helsinki, Finland) and Oliver Fiehn (CA, USA). I also find the translational work (iKnife) from Zoltan Takats’ group (Imperial College London) very inspiring. When it comes to new technologies I am expecting a surge in the use of ion mobility separation, as higher resolution is expected from this technique. Additionally, it is interesting to follow how existing technologies are being exploited in novel, innovative ways. Such an example is the ozone induced dissociation concept, for enhancing lipid structural isomer separation. Click here to find out more about ion mobility seperation in this author’s perspective interview with Erin Baker. The recent advancements in chemical analysis have led to a whole new era in lipid research. I believe that scientists should take advantage of what is currently technologically offered and strive towards digging deeper into the structure and function of lipid species.